So, you’ve just received your shiny new rectangle of smartphone glory, carefully peeling off the plastic in that satisfying ritual most of us repeat every two years. Meanwhile, your old device – once the apple (lol) of your eye – sits scratched, bloated and unwanted, its SIM card already popped out, desperately feeding through notifications via Wi-Fi. What was once a useless shell, hopelessly outweighed by the newest technology, is now part of an enormous global market. From those willing to sit one or two generations behind the bell curve to manufacturers keen to cut costs on rare earth minerals, someone out there is likely keen to buy your old mobile. There are now plenty of ways and places to buy phones – from $30 specials on China direct shopping portals to the most expensive iPhone imaginable – but the classic phone contract still dominates the purchasing minds of most Australians. As a result, these contracts have themselves warped and morphed around how people dispose of new hardware; from longer three-year contracts to cut handset repayments to leasing, “handset only” options, and bundles. But what is the best bang for buck? Is it even worth going on contract anymore? Leasing is the result of telcos realising that most users don’t effectively shop around too much when it comes to their carrier options. Once they are comfortable with their choice and number, most people will just stick to the same network and simply roll over their plan every couple of years. But due to the regular one-year release cycles of modern smartphones, most want the latest and greatest weeks after they are announced. In this vein, telcos used to let customers “upgrade” their plans after 18 months – effectively resetting their contracts early in return for waived handset repayments and a new phone. But 18 months is practically an ice age in modern technology, with most new Galaxies, iPhones, and Pixels on 12-month release schedules. So, why bother owning your phone if you’re only going to hang onto it for a year? 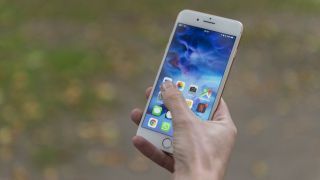 Leasing offers the same benefits to phones that previously had been afforded to vehicles – customers sign up to a 24-month contract, but pay less per month for the phone, since they don’t own it. After 12 months, customers pay a fee to swap their phone for a new one, while the old is refurbished and sold on by the carrier. But is leasing worth the money? In many cases, not really. While there is a $120 discount over 12 months, you do not own the phone, meaning you can’t sell it at all within that first year, when new phones are at their peak value. You’ll also lose most of that discount when you swap, since the fee for a new device is around $100 with most carriers. In terms of ease, however, sacrificing cash for simplicity is key in this arrangement – you walk into the store, hand over the phone, and walk out with a new one. Most cosmetic damage outside of a smashed screen is largely ignored and there’s no silly haggling with idiots on Gumtree. Additionally, lease plans tend to be on the pricier side. There’s a price war ranging in the sim only market, with plans as low as $30 (Think Mobile) offering 20+ GB of data. A 24-month 30GB Go Mobile Swap plan on Telstra costs $59, plus $42 “rental” per month for the device. Traditional “own the mobile” plans are still the most popular out there, giving you full freedom of device ownership from the moment you pick up the phone. You can’t swap it after 12 months, unless you opt in to an extra charge, but you do have the freedom to sell or trade it away if you’re not happy with what you ended up with. In most cases, like leasing, traditional contracts have become less economical over the years. What were originally significantly better options than prepaid plans originally, due to their stability and commitment, has been eroded by competition across smaller carriers. To counteract this, and continue hoarding higher profit margins, carriers have been throwing in additional “Value Add” services as part of new contracts. Optus offers unmetered music and video streaming. Telstra throws in free Foxtel and cheap cinema tickets. Vodafone offers loyalty discounts and trade-in credits. In most cases, phone repayment costs are subsidised or, at the very least, cut up into interest-free payments. In most cases, these are cost-effective options when you want “the best” phone. But in many cases, you can end up forking out over $100 a month for high data caps when you might only use a fraction of that data. Most plans tend to start off with very poor value. 2gb, for example, for $85. But for an extra $10, this jumps to 10gb. Another $10, 30gb. It makes sense to keep track of your past monthly data use over the previous 12 months and calculate the average to see what plan works out. But importantly, owning your phone means you can sell it at its peak value – which is great if you don’t like holding onto the same handset for that long and feel like swapping out every 6-12 months with a bit of extra cash. Buying outright, thanks to mass global availability of almost any smartphone you like, is always the most economical option. Accessing a larger marketplace frees you from the matrix of Telco deal confusion and lets you make clear, obvious choices on what you are spending. Most outright phones tend to go on sale with decent discounts, especially in the first month or so after launch, especially if they are Android – this is mainly due to the hyper-competition between OEMs. On top of this, many outright phones come with free prepaid sims with included data – one phone I purchased included two months of service and 40GB of data. This is largely thanks to the insane SIM battle that is taking place in the Australian market – plans as low as $5 now come with unlimited calls and text, and around 1GB of data. There are also 365-day prepaid plans that come with a bulk chunk of data - say, 100GB – that can be used at will during that period. Others, like Belong, allow data to be rolled over and “banked” each month, ensuring nothing is wasted. All of these smaller carriers’ backbone off one of the larger ones – for example, Kogan and Think Mobile use Vodafone’s 4G Network, Amaysim and Dodo use Optus, while Woolworths and Belong use Telstra. How much of the network they use, in conjunction with how it interfaces with their own, can vary, so it’s worth picking up some free sims to test a couple cheap plans before committing long term. The other benefit of outright purchasing is the freedom of moving away from carrier options. Popular brands like OnePlus, Xiaomi and Vivo build dozens of different handsets with various hardware specifications that suit a wide range of use cases and budgets. In most cases they can be up to half the price of traditional Samsung, Apple or LG handsets and provide the same levels of functionality and quality. Just ensure that if you are buying from a vendor outside the country that you are covered for any possible warranty issues. I think we’ve all been in this scenario. Your two-year-old device is just sitting there, and after costing you around $1000 it’s destined to sit in a drawer, slowly depreciating. So why not sell it? The first thing to do here is to scour sites like eBay, Gumtree, and Facebook Marketplace to see what the average selling price of your model is. You can also check “instant buy” companies (see below) to get a rough level of value based on the condition it’s in. You can generally assume that devices will lose at least 25% of their value every year, more if the device turns out to have a fatal flaw or was not reviewed, supported or received well. The other factor in value comes down to things like warranties and manufacturer support. Very cheap devices will not likely receive updates, either during or after their effective life, and this will affect their value. Apple and Google devices, due to their long-standing support on both hardware and software fronts, tend to retain their value for longer, followed by Samsung. But in most cases, people aren’t likely to pay more than 50% of any RRP after two years. Cosmetic damage will chip away at this amount, alongside the availability and cost of any repairs such as a damaged screen or chassis. So, if you can keep boxes, any accessories and paperwork in good condition it will make a big difference to resell value. So, you have finished a contract, or just don’t like the phone you have and want a very quick sale. There are plenty of sites out there that will offer you a simple price based on your phone’s condition. As mentioned above, these sites are also a great way to find a “control” price on a model, so if you are looking to purchase a new phone it's worth noting what its current resale value is if you are looking to offload it after a year or so. In most cases, you pick your phone, choose the condition and submit your request. You send in the device, the company assesses it, and then deposits the money into your bank account. In the early days of these services, most of the amounts weren’t all that reasonable, although of late they have become a lot more competitive, thanks to local competition, healthy refurbishment market, and paid recycling options. Beware, however – the quality of your phone and thus the amount you eventually receive is determined by the provider. You can opt to have your phone returned if they disagree with your opinion of its state, or simply take whatever you can get. If you are in a rush for some quick cash and don’t feel like mucking around with other people, this is generally the best way to go. The case for keeping old phones is fairly sound – a backup is always handy. But in the modern age of "perfectly decent for a few weeks" $100 smartphones, hoarding a device that is losing its value by the day is a little silly. Take the cash, buy a solid case, and protect the phone from needing to be temporarily replaced in the first case!